Reclaim Gigabytes - Automatically Detach, Restore, Save and Remove Email Attachments! DetachPipe™ is a complete email attachment management solution for Microsoft Outlook. Studies have shown that over 85% of email by volume is taken up by attachments, documents, spreadsheets, presentations etc. By managing your email attachments you can dramatically reduce the volume of data in your mail file without having to delete emails. This is how Outlook should have worked in the first place. Thanks for fixing such a basic flaw! Outlook's PST file is 298 MB smaller than before - and Outlook loads MUCH faster! The DetachPipe Add On frees attachments from Outlook PST/OST files, massively reducing their size, assisting backups and making Outlook faster and more reliable. Attachments can be detached to disk with a clickable hyperlink left in place (the paperclip icon can be retained to assist searches based on attachments), or deleted. Attachments can be reattached later if required. Entire folders can have their attachments detached, saved, deleted, compressed or restored. No retraining required! - DetachPipe does not require any change to your existing email workflow - incoming attachments are automatically detached from Inbox emails, and re-attached to Forwarded emails in the Outbox. Attachments on Sent Items can be deleted. DetachPipe watches your Deleted Items and offers to remove attachments stored on disk when you delete the related email, or it can just do this automatically for you. Attachments can be compressed for extra space savings, and DetachPipe even checks for and merges duplicate attachments - saving even more space. DetachPipe gives you complete control over the naming of detached files. The default naming scheme of [Folder Name][Subject]_[FileName] allows the original email to easily be found. The file modified date is also set to the email date. DetachPipe can process the current email, groups of selected emails, or even bulk process entire folders and subfolders. Different detach rules can be applied to each folder, and one or more AutoDetach rules take care of attachments according to a time schedule. DetachPipe can even be used to bulk-extract attachments for digital forensics investigations. DetachPipe integrates with DropBox - so you can easily store your files online. Saving all incoming PDF/image attachments to a folder on disk for processing/conversion/printing. Use our File Watcher tool to detect files when they arrive and batch process them. I configured the placeholders using the new [FolderPartx] functions. I used the "detach string of folders" option and can't tell you how pleased I was to see it process nearly 2GB of attachments all at once. It worked perfectly the first try! The DetachPipe toolbar button in Microsoft Outlook. Process emails in any .PST file or in Public Folders. Different detach/delete rules can be set for each folder. Backup attachments through the file system, not through Outlook. I was merely testing DetachPipe per directive from my superior. I passed on a glowing recommendation of DetachPipe, due to the intuitive interface, and its ability to perform the function of removing attachment from Outlook emails and restoring them, quickly and efficiently. Other software I've tested recently failed miserably. DetachPipe is a good solid product, a real joy to use! DetachPipe is used by Agora Gallery, AQUILA, ARCNET, AT&T CS Deutschland GmbH, Aurora Systems, Blue Chip Venture Company, Cisco Systems, CompuQuali, S.A., Corporate Renaissance Group, Darden Business School, DER SPIEGEL, Diebold, Inc., Electronic Arts, Encana, Erhvervsskolernes Forlag, Ford Motor Company, Free Field Technologies, Fulbright & Jaworski, Geo Sheard Fabrics 1994 Ltd., Ida Vend Broadcasting, Insight Technology, Inc, Integrated Circuit Designs, Inc., Interskill Interactive, London Borough of Merton, Max Re Ltd., Merck Sharp & Dohme (IA) Corp, Merel corporate finance cv, Miami Tribe of Okla. Bus. Dev. Auth., NIH/NINDS, Pequot Capital, PSCU -FS, Radiant Systems, Roanoke College, RS Information Systems, Inc., salesforce.com, sk8shop.com, Welsh & Katz, Ltd and many other large organizations. DetachPipe runs on Microsoft® Windows® 10, 8, 7, Vista®, 2016/2012/2008/2003 Server, XP x32 and x64 with 5 MB free disk space and 64 MB RAM. DetachPipe requires Microsoft Outlook . 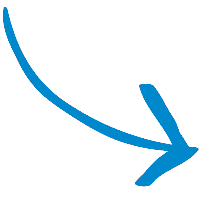 DetachPipe can be used both on a stand-alone computer with Outlook and by users in an Exchange Server environment. DetachPipe can be used to archive attachments. Multi-user, Site and Enterprise licenses are also available to enhance the efficiency of your entire team. Please contact us with your requirements. Does NOT work with Outlook Express. DetachPipe has been awarded Best Web Tool of 2012 by WebHostingSearch.com for delivering a fast and reliable email attachment manager for Outlook . ResumePipe if you need to cleanse and process emails.